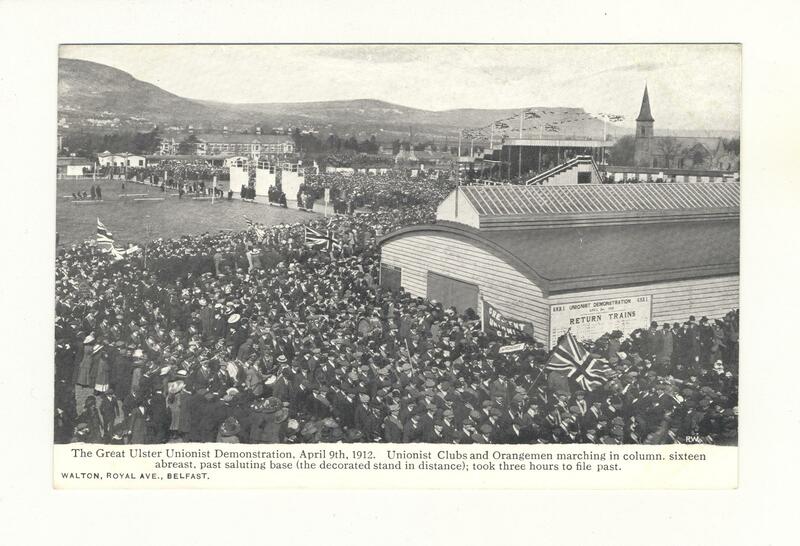 Postcard showing 'The Great Ulster Unionist Demonstration, April 1912.' Unionist Clubs and Orangemen marching in columns. Sixteen abreast, past saluting base (the decorated stand in distance); took three hours to file past.